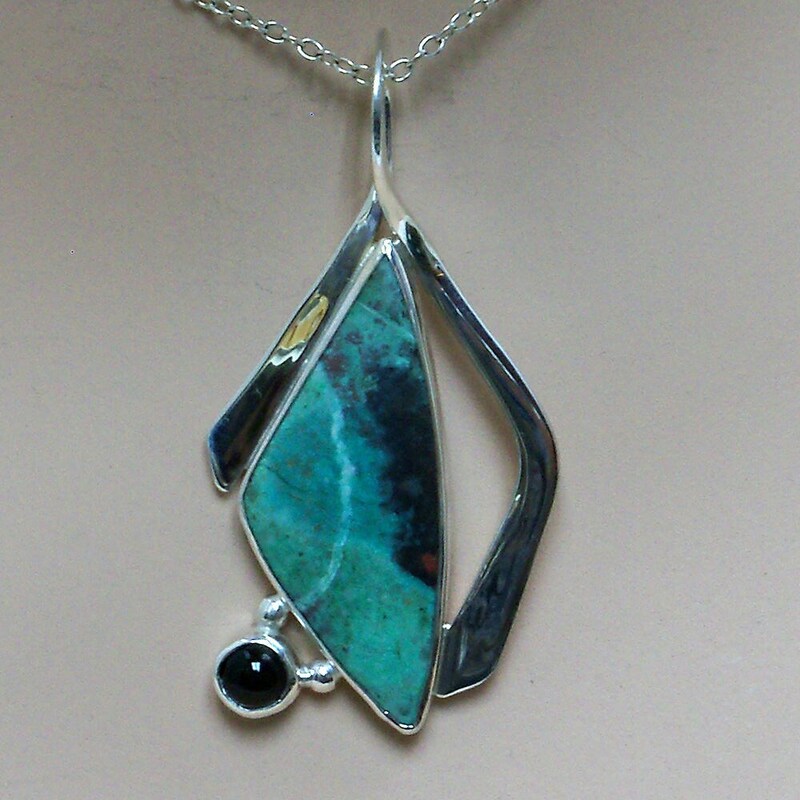 Sonoran Sunrise and Sterling Silver Pendant, 50.8 x 25.5mm. I recently cut a few cabochons from this unique material. This is a one of a kind (ooak) art piece. 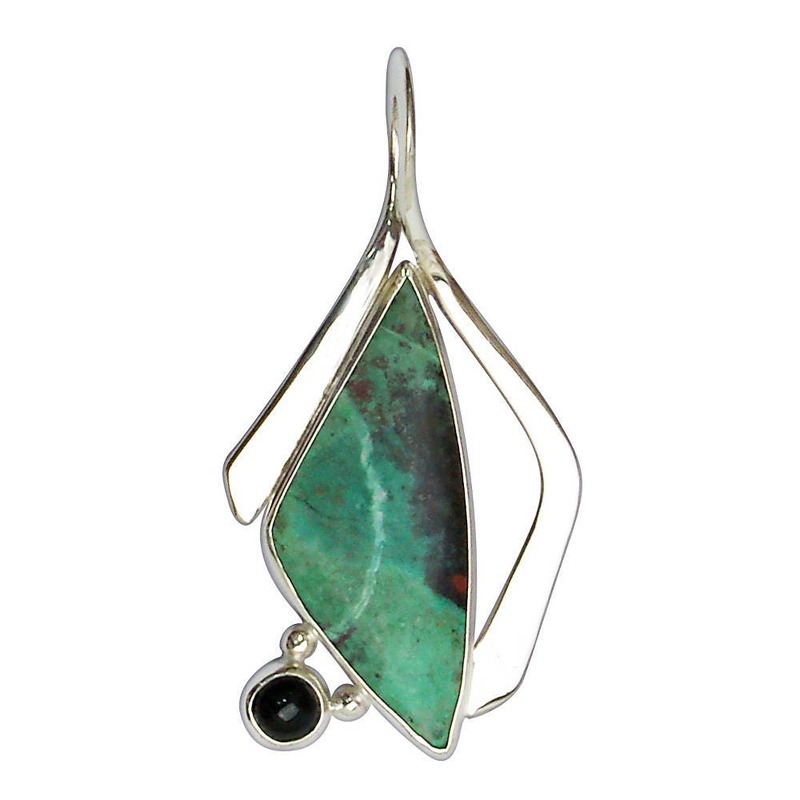 The stone is completely hand cut, I designed and forged the silver to take full artistic advantage of the beauty of the stone adding a small Black Onyx cabochon as an accent. Sonoran sunrise comes from the State of Sonora (Mexico). 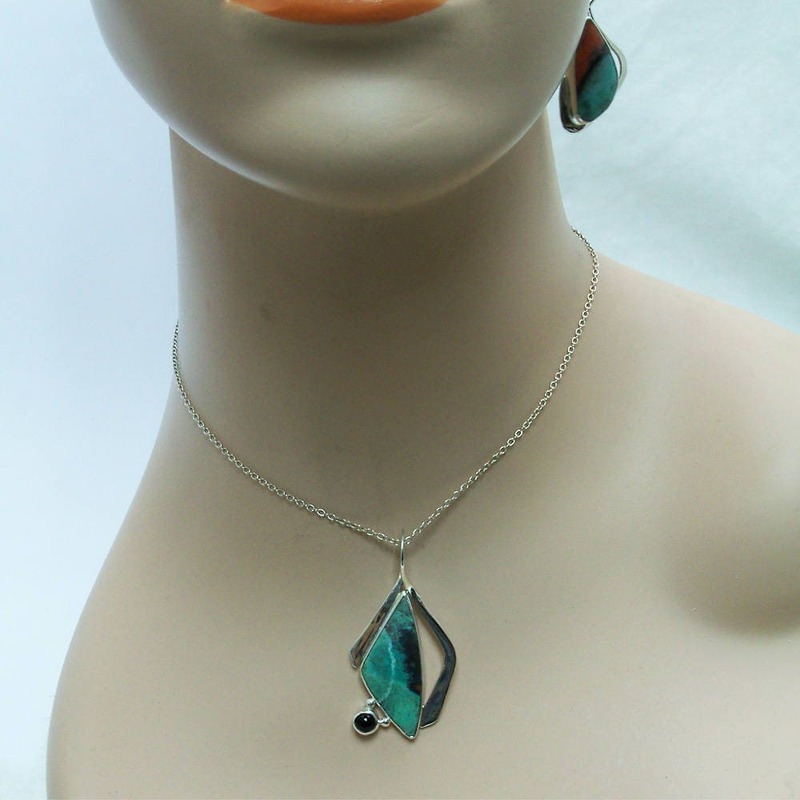 It's been on the gem scene now for a only couple of years and has become quite popular. 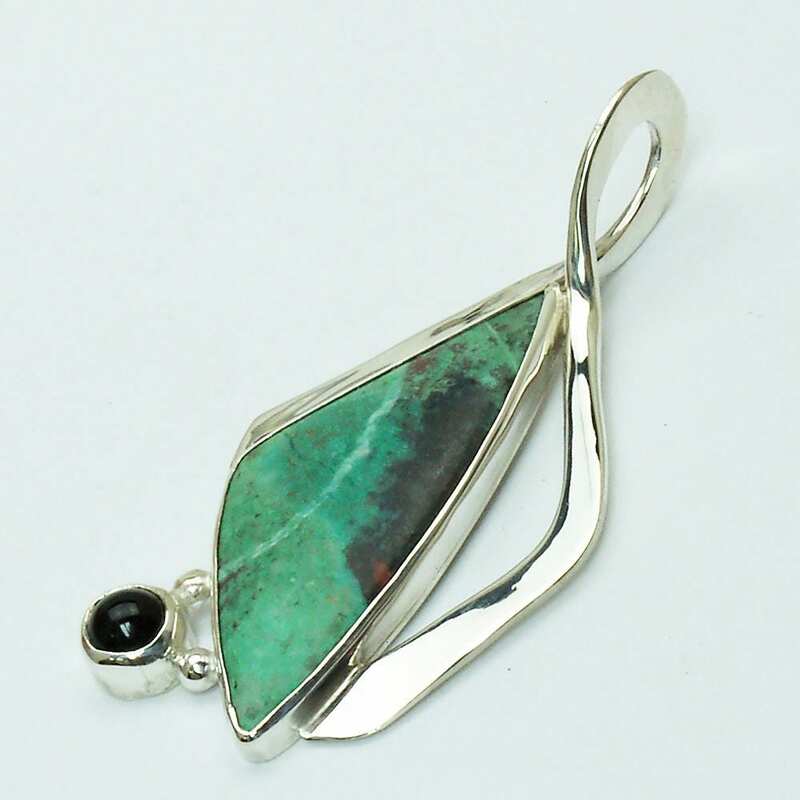 It is primarily green to blueish green and red with a bit of black. 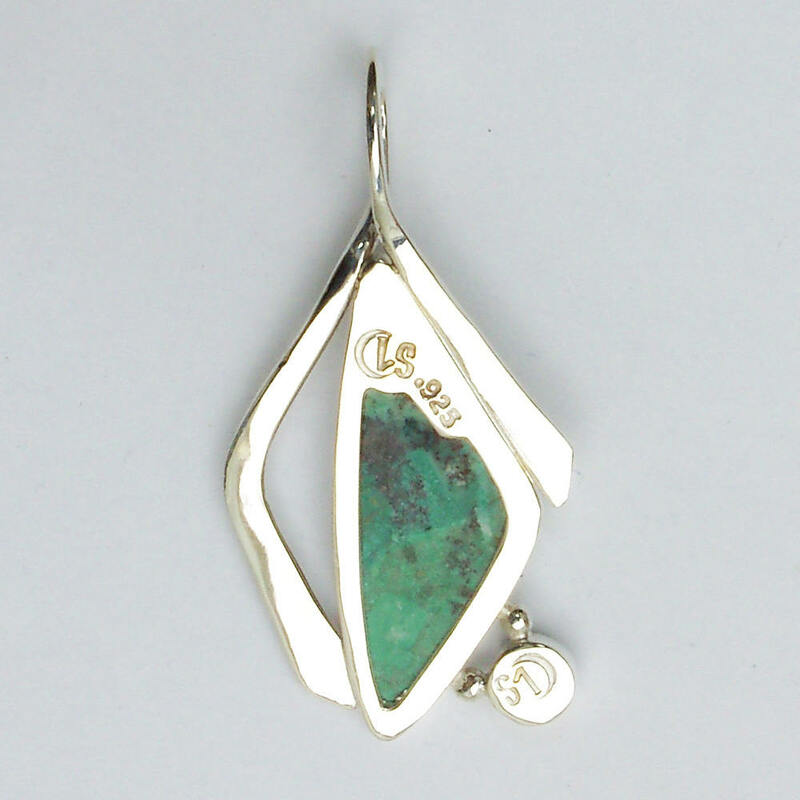 The green is chrysocolla. The red is cuprite, and the black is tenorite.